Rated 5 out of 5 by Howdyholly from Great game! You TOTALLY get your money's worth on this one! Worth the CE IMO This game was awesome! The playtime alone makes it worthy of the CE price. The plot is interesting and the story line is dark and fun (just how I like it!) I played this game all day today (literally) and just finished the bonus game. It was really enjoyable. The puzzles are not too bad but skipable if you get stuck. There are a lot of HOS and some of the items are pretty hard to see because of the graininess of the images, but again, the hint recharges fairly quickly. There are a lot of different scenes and the game is quite long. I used the SG a good bit because I was in a "what do I do now" kinda place, and unfortunately, there is no map to zip back and forth with. That is really my only gripe with this game. Otherwise, I HIGHLY recommend it! Great game and very fun and worth the CE IMO. Rated 5 out of 5 by Girtabik from Good one! The game plot is interesting. Though a bit standard, but you'll become more involved into it during the investigation. Music and sound effects are good enough, graphics is great, a mysterious storyline keeps you in the right mood. Definitely, a buy! Rated 5 out of 5 by Cherubabies from Nothing better than a Supernatural Goulish Game! I don't know why some people have complained about this great Game. It is an intriguing story line, superbly done exquisite Graphics, 3 Modes of Gameplay, interesting puzzles, and the music isn't too bad either! Supernatural Themes will always be popular and I for one will always be buying them! 5 Full Stars from me! Rated 5 out of 5 by harleyangelbrat from Lots to do It is fun and there's lots of cool puzzles. I like the fact that you have the option of skipping the dialogue. Some of it I wanted to hear and others I wanted to move on. Great game! I really had fun playing the trial and hoped to purchase it. Rated 5 out of 5 by Nana6177 from Do You Enjoy a Good "Snoop"?, Adventure Lovers Should Enjoy This! Expansive search area with lots of adventure, places to go and things to snoop in! Heavy on adventure, with some HO. HO are very well integrated, some monochromatic “bluish/gray”, does hide items well. Puzzles are interesting and vary from the regular we normally get, and slightly more difficult than usual. Voice over throughout the game, and it is well performed. Integrated strategy guide, journal, and no map. The search area is expansive and a map would have been nice to help remember what is where, or even teleport. There are 3 options to play and advanced did not have sparkles! You are able to access the option to change play difficulty any time while playing. The hint button does take a while to fill (3 minutes?). Music is pleasant enough, but I‘ve never had issues with music in these games. You have the option of turning it off. WIDE SCREEN!!! And it filled my 15” laptop. Graphics are painted, well done if a little on the blurry side (think they do this to try and make it more “spooky”). While slightly blurry, still clear enough to enjoy. It’s exciting, spooky and if you like adventure/investigating pure enjoyment. Rated 5 out of 5 by miamore801 from Excellent game Graphics and sound is great. Love this game and had to buy after demo was up. Rated 5 out of 5 by Jeriann64 from fantastic game! I just have to say how much I enjoyed this game! The graphics are superb, the story line is great & I didn't really find anything I didn't like. The music was even good; spooky to go with the game. My hour was up way too soon & this is a definite buy for me. Rated 5 out of 5 by carla7 from Two thumbs up! You have to investigate a mysterious and deadly curse. After playing the demo a had to buy it. Nice graphics and great story line. i love games this kind of games. Rated 5 out of 5 by bgnam8r from Great new game I really like this game. You get to go to many locations & the progress isn't specifically directed. The story line is interesting & the characters you meet are all different. The HOS are nicely painted although quite easy as are the mini games. It is beautifully painted. Rated 5 out of 5 by zzwitchyzz from Enjoying this Game Has plenty of hidden object areas, while still strategy to keep you moving. 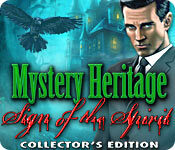 Rated 5 out of 5 by esteroverde from Mysteriously Spooky! Even after playing just a few minutes of this game, I was sold on it. It has beautiful graphics, great storyline and voice overs. Looks like there will be a good balance of HO scenes and adventure. Haven't played enough yet to see how well the puzzles or mini games might be but this just looks like a well enough developed game that I would definitely purchase. As a detective, you must find out what happened to the lawyer of an heir whose family has been under a witch's curse and there are times you will encounter her ghost. A game that should keep you interested! Rated 4 out of 5 by rosekaufmann from GOOD AND SPOOKY This game actually plays in widescreen-yeah! From the beginning, this is an ominous outing. Liked that the sound effects were close to, but not quite, realistic sounding. and the animation (the ghostly figure added to the atmosphere) and graphics were absolutely terrific. The music plays to the spooky theme. A fun game to play without getting stressed out or tired because the HOS are too cluttered and small. Here they were nicely sized and the list of objects was large enough to easily see. The main question for me is whether to get the CE or SE. I chose the SE. Rated 4 out of 5 by neilskinut from good fun game Not a bad game. The graphics are not the best but has voice over and music is ok. The HOS are quite easy but the puzzles can be fun and some challenging. The hint button could be better. Only tell you that nothing here. That is the problem because you have to do a lot of going all over the place to try and find items. Not a good flow. Rated 4 out of 5 by Corie60 from Excellent Mixture of HOS, Puzzle, Adventure and Storyline I truly enjoyed this game. I was a bit behind in my gameplay so it has taken awhile to get to it, but I was very pleased when I began to play it. I enjoyed the story and characters and the way they put the game together. There was always another corner to turn and new things to discover to further the story. Well worth the CE price. It was pretty close to reading a book the way it flowed. At least give this one a try and demo it. You will enjoy this game. Even though there was a murderous storyline the game was very relaxing. 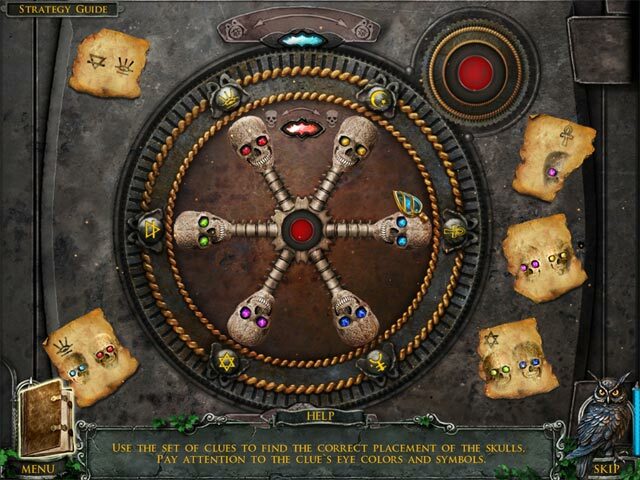 Rated 4 out of 5 by cpezzop from mystery heritage: sign of the spirit collectors edition this game was lots of fun to play.It was workable and yet it had some neat puzzles. Rated 4 out of 5 by lisa061104 from Heavy HOS but nice game I love adventure games and I purchased this game on the recommendation of another gamer who stated that it was heavy on the adventure and light on the HOS. It's actually the opposite so if that's what you're looking for, you'll love this game. 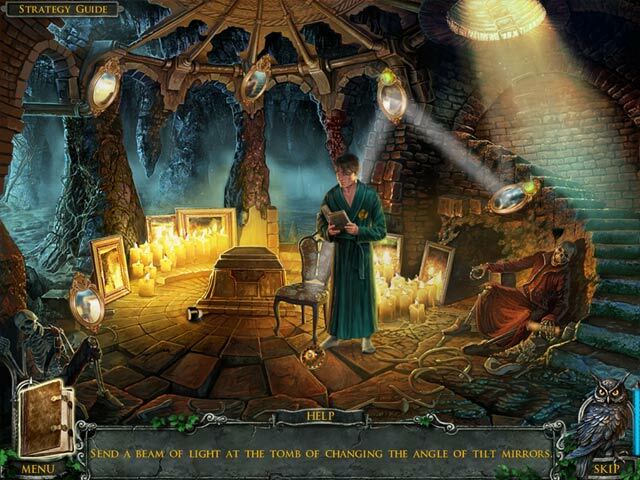 I was a little fatigued at the end with the endless hidden objects but the graphics and plot made up for it. Gorgeous scenes, fun puzzles and as much as I didn't like the HOS, they were beautifully done. I do recommend this game for all those who love HOPAs. Rated 4 out of 5 by Adventure4_Ever from not bad i like this game but its not very interesting to make you guess what will happen or something like that "so its must be more than that"
Rated 4 out of 5 by Torpedo1 from One thumbs up I enjoyed this game. Graphics were good. Love the skeleton puzzle. Another game to add to my collection. Like having to use the water well differently then most. Nothing new but a break from the old routine. Rated 4 out of 5 by Mopox from Still enjoying spooky games! I know that some gamers are tired of the spooky, haunted, witchy or ghost-ridden games, but that seems to be the favored genre of hidden-object/adventure. I, for one, am still enjoying them and do expect quality. When I get quality, I'll buy the game. I like this game for the storyline, the graphics, the challenge is not too hard but interesting. I play for fun, not to be frustrated. I will buy the CE in this case because sometimes the bonus game ties a story together, as well as extending playing time. Definitely (as always) try before you buy, but if you're not expecting to enjoy it, you probably won't. Rated 4 out of 5 by jmcbeauty from Fun Game I liked this game and found the storyline, while a usual type, interesting to follow. The ghost of the witch is kind of funky, especially when it leaves the scene. The art itself was very well done and much crisper than some of the other creepy adventure/hog. The colors were vibrant. The music was getting what seemed faster and wanting you to move faster on your search. Didn't quite finish the demo, but I rarely do because I take my time to explore to see if I really want to buy it. I found the hos items rather easy to find and didn't test out the hint button. The strategy guide was helpful and integrated and easy to use. There was no finding "extras" and no map which was disappointing. But all in all, I enjoyed the game (played casual mode) and would recommend it. Rated 4 out of 5 by ninda2 from Nice balance After playing the trial for 40 minutes I decided to buy this game, it has a nice balance of HOG and adventure which I love. The story line is about like most others, graphics are good, even the music was fitting. Its nice to change midstream to advanced level mode, it gave it a bit more of a challange. Rated 4 out of 5 by Magda640 from Fun game, not gross I enjoy the "old fashioned" games, I guess. The graphics are clear, the drawings very good, not grainy or blurry to me, and I don't have the best eyesight. 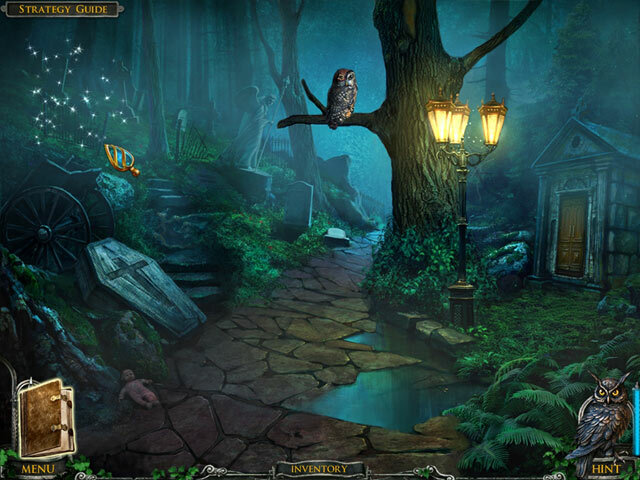 The hidden object scenes were not too difficult. Sure, the storyline is familiar, but this isn't supposed to be great literature. The reason some of the scenes have a grayish tone is because it is nighttime. The voiceovers were good and the music was okay. I don't listen to the music much when I'm playing these games, because it is distracting to me. I didn't find anything in the trial that was objectionable. This is a game that will go on my "to buy" list.